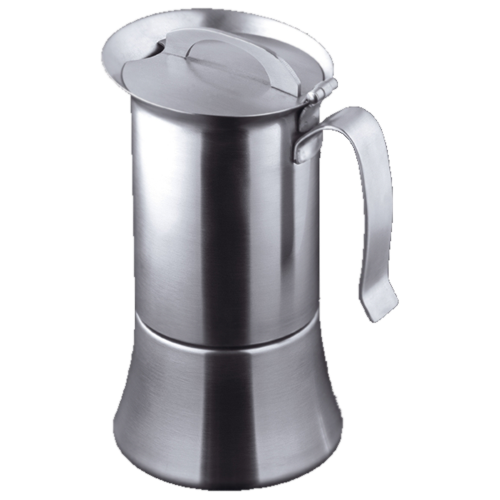 Caroni Induction Espresso Coffee Maker for 2-4 cups made of stainless steel. This Espresso Coffee Maker works on all stoves including an induction stove. Thanks to a special filter, you can vary the strength or the amount of coffee.